If you don’t have a fireplace or burly lumberjack (or lumberjane) to cuddle up next to this winter, we have the next best thing: booze. Here, chefs reveal the coziest cocktails they love to make on a chilly evening. Chef Jon Keeley of Chicago's Gemini Restaurant Group warms up over hot chocolate spiked with brandy or herbaceous chartreuse. “That’s my idea of cozy,” he says. Chef Tim Graham of Chicago’s Travelle keeps things simple with a glass of calvados after a big meal. 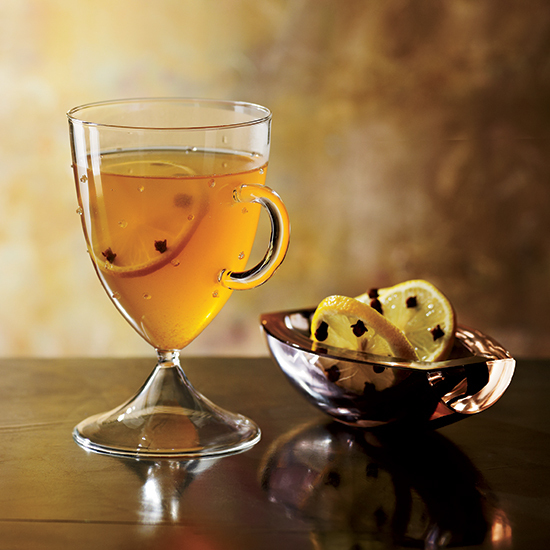 “The warm apple glow is sure to warm guests up from the inside out,” he says. Tag your toasty moments on Instagram with #cozyscenarios for the chance to be featured next!